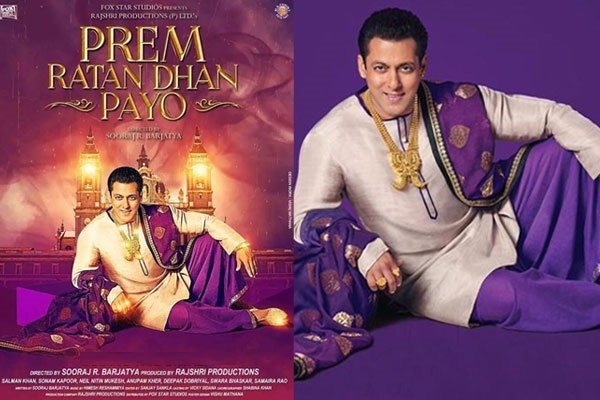 The 2015 Indian blockbuster, Prem-Ratan Dhan Payo, will make its way to the small screen just in time to satisfy the romantic urges of mid-February audiences worldwide. Star Plus TV confirmed that it will be airing the Indian RomCom in February of 2016. You can watch the movie live on Star Plus Online through YuppTV applicable for all the devices.The movie which enjoyed financial success as well as some critical acclaim, grossed over 400 crores, or approximately 60 million USD, making it the fifth highest grossing film in India. The success of the movie is attributed to the appeal of the dual role played by veteran actor Salman Khan. Khan takes on the role of haughty Prince Yuvraj Vijay Singh and lovable commoner Prem Dilwale. When the Prince is attacked and disabled by his rival, step-brother Yuvraj Ajay Singh; his look alike, Premis able to step in and fill his shoes. Initially, Ajay is none the fooled by the switch. Naturally, Prem is a much better Prince than Vijay. He even manages to win the heart of the Princess, something Vijay was never going to accomplish. Eventually the truth about the Prem/Vijay switch is revealed, the bad guys are vanquished, and family harmony is restored. The Princess realizes that she loves the “pauper”, Prem, and they are united. The movie received acclaim primarily for the acting of Salman Khan in the dual role. It received criticism for being too similar to other films by the same Director, Sooraj Barjatya. It was also criticized for its close resemblance to the Book and Movie The Prisoner of Zenda, which had a very similar plot.However, this plot has been respun many times from stories such as The Prince and the Pauper, to Dave. The movie songs are a instant hit including the title song which ruled every heart of audience.It is likely that this story will be told many more times in the future. It should also provide almost three hours of fun for Valentine’s Day movie watchers on Star TV.